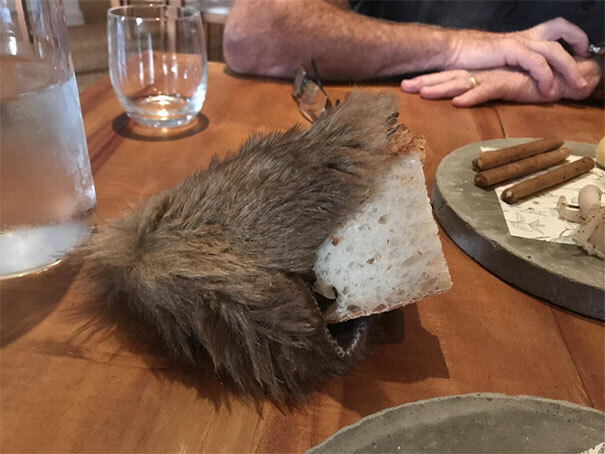 There’s a fine line between being creative and ridiculous, and these restaurants have passed it. I get it, competition in the foodservice is high. You need to think outside the box to attract more customers than that Turkish Kebab joint with questionable sanitary around the corner. But that doesn’t mean you have to serve cocktails in an umbrella. Or a chicken on a sunbathing chair. Bored Panda has already showed you the 10+ Times Restaurants Went Too Far With Food Serving but we’ve found so many more absurd examples, we just couldn’t resist from making a successor list. Continue scrolling, check out the images and upvote your favorites!